Award-winning communicators: Rob Moffett, Deb Roush and Janet O'Neal. The Pulaski County Special School District’s Office of Communications won two awards in the annual National School Communications competition from the National School Public Relations Association (NSPRA). The district received an award of merit recognizing it for distinguished achievement in marketing the district through a consistent brand. An honorable mention was awarded for the district’s social media efforts. There were more than 700 entries from districts throughout the country in multiple categories pertaining to school district communications. Dr. Jerry Guess, PCSSD’s superintendent, said, “This honor gives credit to a hard working department that gets reliable, up-to-date information to our patrons and public through multiple channels, including an ever-changing website, facebook and twitter. “Communicating in a 740-square-mile district that incorporates several cities, 37 schools and more than 17,000 students is a 24-7 commitment,” he said. The communications team is led by Executive Director of Communications Deborah Roush. 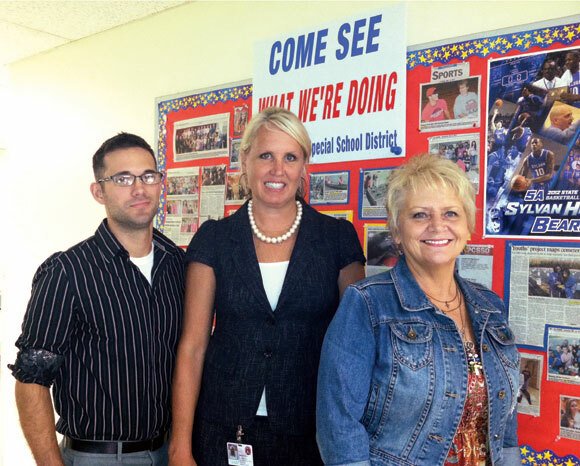 Rob Moffett is the district’s webmaster and Janet O’Neal is the communications coordinator.